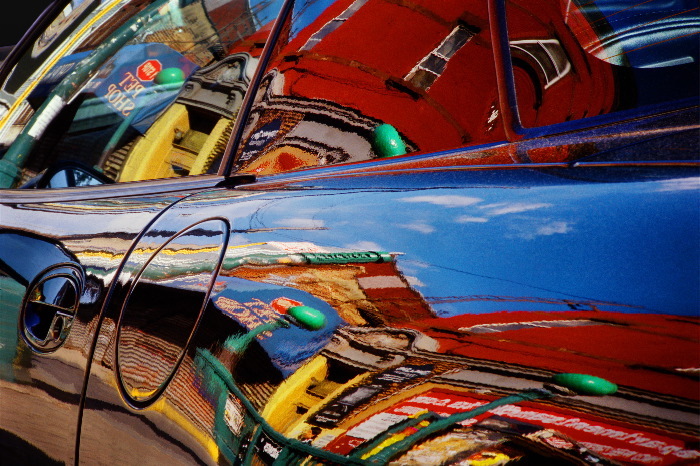 Abstract Organic Architectural Landscapes - Reflections in Automobiles. Bedford Ave Subway stop at North 7th street in a shiny black Corvette. Williamsburg, Brooklyn, New York City.